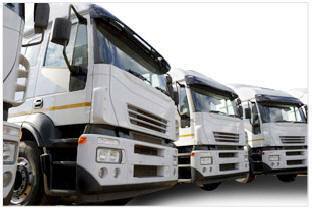 Fleet Management System (FMS) becomes a critical task for the management center. Usually, the operator would conduct the complex tasks including vehicle location positioning, route tracking, fuel usage, security and safety of vehicle, and driving behavior analysis. Therefore, a total solution with all the functionalities can save efforts and time. We are the best devices for any kind of FMS tasks. With the fundamental tracking feature, all the trackers benefit the operator with the real-time tracking and monitoring of the fleets with ease. Of the four trackers, the differential features efficiently meet your wide scope of specific needs and applications. Common applications are trucks, car leasing, remote vehicle diagnostics, trailers, assets tracking, temperature monitoring, fuel level monitoring, Pay As You Drive, car sharing and more. falcon gsm modem, built in gsm modem, gsm module, alarm gsm oem module, gprs oem, MC45 relay module, Gprs module, Gsm india, gprs application, gsm architecture, mobile technology, mobile, m2m, india, gprs card modem, gprs tutorial, gsm technique, gprs sincrono modem gsm terminal india, gsm security system india, gsm gloabtel india, telit gsm india, nokia m2m india, motorola, siemens, lucent technologies, bell labs india, at&t gsm mobile india, airtel, idea, bpl mobile, gam antenna, GSM, GPRS modem, module, gprs, vehicle, tracking, GPS, AVL, system, locating, locator, monitoring, gsm-modem, gsm-module, automatic, vehicle, locating, gps, gsm, vehicle, truck, vessel, satellite, satelite, GSP, GMS, avl, systems, gsp, gms, SMS, sms, wireless planet india, wireless products, machine to machine comunicaiton, pune, mumbai, delhi, kolkatta.